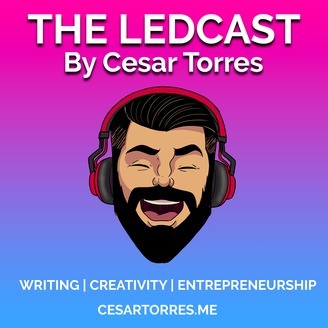 The Cesar Torres podcast brings together writers, artists, technologists, and thinkers to converse with author Cesar Torres. Cesar is the author of 7 fantasy and sci fi books, including the upcoming 9 Lords of Night. He is also the designer of LED Queens gym wear. Erik Lochtefeld is an American stage, TV and film actor known for his role as Orpheus in Mary Zimmerman’s Metamorphoses on Broadway. He also appears on the Amazon series The Marvelous. Mrs. Maisel. This November he will debut in the new Broadway musical King Kong, directed by Drew McOnie, and a book by Jack Thorne, who co-wrote Harry Potter and the Cursed Child. He is a graduate of Northwestern University, and he lives in New York City. 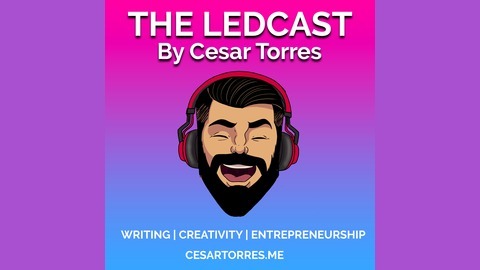 You can support this podcast by joining Cesar's Patreon at https://www.patreon.com/cesartorres. Cesar Torres is an author and filmmaker, and you can find his books at cesartorres.me. He’s also the owner and designer of LED Queens gym apparel. If you’re ready to take your fitness life into a futuristic new level, check out his store at ledqueens.com.